When your future depends on it - you need the best. If you’re accused of a crime, then you need a criminal attorney who is available 24/7 to help. We treat each client, like a member of our family – and their case like if it were our own. Unlike other firms, we charge a very reasonable fee, and offer flexible monthly payment plans. Our firm has been ranked highly by organizations like Avvo, and others. Our teams at our three locations, are available to handle your criminal case 24/7. We have numerous lawyers available to handle your case – depending on the complexity, and type of case. You have 24/7 access to the new york criminal attorney assigned to your case. Our firm is interviewed by major news organizations like FOX, NYPOST, FOX BUSINESS, and others. We Treat You Like Family. Your Case Is Important. The Spodek Law Group is one of the most successful criminal defense law firms in New York. We have a 99% success rate, when it comes to the success and positive outcomes of the criminal defense cases we handle. 99% of the cases we've handled have ended in a positive outcome for our client, compared to what they were originally facing. Our goal is to help clients get all charges against them either dismissed, or significantly reduced. We help you prevent the criminal charges facing you from impacting your future. it's why you can trust our criminal defense lawyers in NY. We firmly believe that tragedy never waits, before striking - and that means, when you're arrested - you deserve immediate legal help. That's why we always have a criminal defense attorney available 24/7 to help you. In addition, there are 2 two criminal defense attorneys assigned to each case. This guarantees that there is always someone on call 24/7 to handle any emergencies. We offer flat fee arrangements, accept payment plans, and all major credit cards. We thoroughly investigate the evidence against our clients, and prepare each case. We pride ourselves on charging lower fees, than other criminal defense law firms - in addition to offering flexible payment plans. We firmly believe that money should never stop you from working with the lawyer you want to. We make it easier, by offering flexible payment plans. We work with you, so that our fees aren't a burden on you - or your family. We also accept a wide array of payment forms, and charge lower fees than other firms. I was accused of DUI/DWI, and was wrongly accused because the cop claimed he smelled alcohol on me. It was a blatant lie, but I was still taken into custody and wrongly charged. Todd helped me get my car back, and get the entire case thrown out. Spodek Law Group, is a premier criminal defense law firm based. We empathize with what you’re going through – and believe in providing the best possible defense. We have over 50 years of combined experience amongst our team, and have seen virtually every type of case. Over 99% of cases we handle end in a positive outcome for our clients. Your future is important – and protecting it, begins with hiring Spodek Law Group. Our unique experience enables us to handle cases differently, and be able to predict the opposing prosecutors game plan. Everything we do, revolves around getting amazing results for our clients. If you’re accused of a crime, we offer a risk free consultation so you can understand what you’re being accused of doing, what are the possible punishments – and how we think we can help you. Our criminal law offices offers a flexible payment plan, so money is not an issue when trying to hire us. We are passionate about helping anyone, and everyone, accused of a crime. If you are facing jail, we can help – just contact our lawyers today. Our NYC criminal lawyers have over 50 years of combined experience helping clients all over the state of New York, NYC, and Long Island. We have 3 convenient locations, in NYC, Nassau County, and Suffolk County. We have partner attorneys all over the country – who work with us to help clients. Many attorneys refer us clients because they trust in our ability to help clients get the outcomes they – and their family members – need. 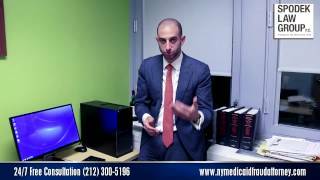 Our team of NYC criminal lawyers treats each case uniquely. We don’t believe in a cookie-cutter approach to law. We work with our clients to help them understand what they are facing – in order to prepare them for all the possible outcomes. Our #1 objective is to get all charges dismissed, or significantly reduced – so you aren’t impacted. We offer a risk free consultation over the phone, or in person at one of our three locations. Regardless of the complexity of your case – we can help you. If you are charged with a violation, misdemeanor, or felony charge we will invest our blood, sweat and tears into your case. We will never judge you for the choices you have made. We will be there when no else is, and we will do everything in our power to get you out of this situation unscathed. Todd Spodek, our managing partner – has been called a “high powered lawyer,” by some of the most elite magazines in the world. He is frequently interviewed by media outlets for his expertise – and when clients need an aggressive criminal defense attorney – they turn to him. Our criminal defense law firm is extremely selective about the number of clients we service each month. We take on a select few number of clients. Our goal is to take on fewer clients in order to provide great service to each client. Our objective is to provide impeccable service, and amazing case results. That’s one of main reasons why many of our clients refer us to their friends, and family members – when they need an attorney. Our NYC criminal attorneys offer a risk free consultation, in person or over the phone. During the initial consultation, you can ask us anything you’d like. Typically, we answer questions like – what the case is about, what type of punishments might be given – and how you can fight the crime. Typically, that means either looking at how to get the case dismissed, or how we can help plea down the case to a more acceptable situation. We believe that once you take this free consultation, you’ll realize it’s a good idea to work with us. Our criminal defense law firm has numerous locations – we can either meet you at your place of business/home, or you can come to our office. Once you sign up with us, we handle your entire case! All defendants who are accused of a crime are required by law to have adequate legal representation during the prosecution process. Many times an accused defendant will allow the court to assign a pro bono attorney when they qualify because of associated legal expenses. The problem is that many court appointed New York criminal attorneys either work for the state through the public defender’s office or are assigned from the local attorney pool by the jurisdictional judge. This means that the legal counsel for the defendant is also an employee of the same state that is pressing the charges, which rarely bodes well for the defendant. Prosecutors often act as though they are entitled to a conviction following any indictment or application of criminal charges, and an appointed attorney will normally be required to deal with the same prosecutor regularly. This situation alone is enough for anyone falsely accused of a crime to retain an experienced and effective criminal defense attorney who will work diligently to ensure that all legal rights to a solid defense are enforced. Criminal cases are built on evidence that must meet the standard of reasonable doubt. Your criminal defense attorney can evaluate all articles of evidence for legal application regarding truth and proper protocol by the police in acquiring the evidence. Arresting officers must follow all arrest protocols and maintain adherence to the Constitution when compiling evidence in an investigation. And, many times over-zealous police officers and prosecutors will prosecute an innocent individual in an attempt to get them to provide state’s evidence in the case. Your attorney can contest all of this evidence as inadmissible and move to have any immaterial case facts dismissed for consideration, which is something that a typical defendant usually cannot accomplish. When you retain a NYC criminal attorney they can also question the statements of the officer as well as the motivation for the arrest when it obvious that charges are based on evidence that is weak or borderline. Having an attorney who is willing to take a case to a complete trial can be important, and many times an appointed attorney will avoid this at all costs because they know the prosecutor wants a guilty plea. Never plead guilty to a criminal charge when you are innocent because criminal histories can have a major impact on the life of the defendant going forward, including denial for government benefits, employment, and public housing. Retaining a criminal attorney is always an investment in your personal future. It is never a good decision to go before the court without legal representation because the state must only observe the minimal basic legal rights of the defendant and they are serious about a conviction merely because of the fact your are there. In many ways, a defendant must actually prove their innocence instead of the court proving the case against the defendant. It is important to remember that, even when charges are generally sound, a charge reduction can often be achieved with good legal counsel. Do I need a criminal attorney for my case? The 6th Amendment of the U.S. Constitution guarantees a defendant the right to a lawyer to defend him or her in a criminal case. It has also been interpreted as conferring the right on criminal defendants to represent himself or herself in cases against them. No such right exists in a civil lawsuit. If you’re a criminal defendant, you might also be allowed to represent yourself, but you’ll need permission to do so from the judge who is presiding over your case. Whether or not it’s a good idea to ask a judge to represent yourself in a criminal case is up to your own best judgment, but it’s not recommended. Typically, you should hire a lawyer to work with you. The consequences of a conviction could be harsh, especially if you’re charged with a felony. Our NYC criminal lawyers are aggressive, and extremely resourceful. We get each client the results he, or she, deserves. Our New York criminal lawyers have all been recognized as top rated, by ranking services like Avvo, National Trial Lawyers Organization, SUPER Lawyers, and many others. Our lawyers are passionate about one thing: helping our clients get the best outcome. We don’t focus on billable hours – like other firms. You can trust our NYC criminal lawyers to tell you what to do. We understand you’re relying on us to tell you how your criminal accusation will impact your future. When you work with us, we’ll tell you exactly what to expect, and what to do. Public defenders are a necessity to the legal system, but may not always provide adequate defense for the assigned client. The public defenders works for the same state that is prosecuting the case, and there will always be a question of how willing they are to work diligently to protect you. Many times the charge is a crime without a victim, especially in cases involving drug distribution on any level. Public defenders regularly work in one specific court and can become an ally of the local court officials in many cases. Never accept a public defender for a criminal charge if there is any other option for legal representation. Anyone in the city of New York who is facing criminal charges should contact our attorneys and let us do a professional and thorough analytic investigation of your particular case. We are very familiar with the overall city court structure and always represent our clients aggressively, including the willingness to take a case to trial when the charges are not valid. We understand how to craft a strong defense in any legal situation and have along track record of proven success at helping our clients receive a reduced case settlement including dismissal in cases where our client is being prosecuted on frivolous claims. Let us help you defend your case and ensure the respect of all of your legal rights. An arrest is made when a police officer either has a warrant signed by a judge or has personally witnessed the suspect committing a crime. Once arrested the suspect will be taken by the police officer to jail to be fingerprinted and photographed. The suspect will be required to answer a series of personal questions and will then be placed in a holding cell. The police must give the suspect an opportunity to make completed phone calls within three hours of the arrest. The suspect will use these calls to contact a criminal defense attorney and to alert friends and family members. The suspect will be given a court hearing within 48 hours of being placed in custody. The suspect will be allowed to meet with their attorney before the court hearing takes place. When the suspect is taken into court, the judge will inform the suspect of the crime they are being charged with, and will ask the suspect to enter a plea. The suspect can either tell the judge that they are guilty, not guilty, not guilty by reason of insanity, or that they plead no contest. The suspect should consult their attorney about which plea to enter before the hearing begins. A guilty plea is an admission of guilt, and the suspect will be responsible for the consequences of the crime. With a plea of no contest, the suspect is not admitting guilt but is also not disputing the facts of the charges brought against them. If the suspect pleads not guilty by reason of insanity, they may be placed under psychiatric supervision. A plea of not guilty will force the prosecutor to prove beyond a reasonable doubt that the suspect committed the crime. The suspect will be given the opportunity to choose between a bench trial or a jury trial. If the suspect chooses a jury trial they will be tried before a group of their peers, and these peers will determine guilt or innocence. If the suspect chooses a bench trial they will be tried before the judge only, and the judge will decide the outcome. The suspect should consult their attorney to determine which option would be most beneficial. What happens next depends on the outcome of the trial. If the suspect is found innocent, they will be allowed to go free. If the suspect is found guilty, or if the suspect pleaded guilty or no contest, a sentencing hearing will be held. Before the sentencing takes place, the judge will review the suspect’s past criminal behavior and try to determine whether or not the suspect has any substance abuse issues. The judge will take this information into consideration when deciding a verdict. At the sentencing hearing the judge may want to hear the opinions of the suspect’s friends and family, or from the victim of the crime. The judge will then declare a verdict based on sentencing requirements and the evidence provided. Depending on the severity of the crime, the sentence could involve jail, a monetary fine or community service. 1. 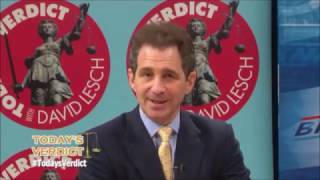 Do you need an NYC criminal attorney for your case? At an arraignment, defendants are advised of what they’re charged with, and a plea of not guilty is almost always entered. The court will schedule various dates along with a trial date. Most defendants who want to represent themselves ask a judge for permission to do so at the time of their arraignment. The judge will then set that issue for hearing. The purpose of the hearing on representing oneself is to make a formal record of the request and obtain a waiver of his or her 6th Amendment right to an attorney. The judge will want the defendant to confirm on the record that he or she is freely, voluntarily, knowingly and intelligently waiving their right to an attorney with full knowledge of the possible consequences. For purposes of an opportunity for a fair trial, the law doesn’t allow a person to represent himself or herself if the presiding judge doesn’t feel that the defendant is competent to do so. Competency in this context isn’t about whether the defendant is mentally ill or not. It’s about the ability to understand and participate in all phases of the case against him or her. In deciding on the issue of a defendant’s competency, some of the factors that a court takes into consideration include the defendant’s age, educational level, his or her ability to speak and understand English and the seriousness of the crime that he or she is charged with. These factors make it clear that you need not have the skills of a attorney to be able to represent yourself. You’ll be held to the same ground rules that attorneys are held to in all phases of your case though. Remember that in waiving your 6th Amendment right to an attorney, you’re also waiving any right that you might have to claim ineffective assistance of counsel. Knowledge and experience in criminal law and procedure can make the difference between being found guilty or not guilty. It’s highly likely that you’ll be far better off having an attorney represent you in any criminal case. 2. Are some cases harder than others? Going to criminal court in New York City can be a frustrating and scary experience. This is especially true when you are facing serious criminal charges that can result in a long incarceration period. New York City prosecutors are adamant about reducing crime in the metropolitan area, as it is one the world’s most attractive tourist destinations, as well as the home to over seven million primarily law-abiding residents. Having an experienced and aggressive criminal defense attorney is imperative when attempting to defend against any criminal charge in a New York City court room when the charges and potential penalties are significant. This is especially true when being charged with a felony because all felonies carry the potential for long-term state penitentiary incarceration. When in doubt, we encourage you to contact our criminal lawyers. New York City is a unique region. There are seven distinctive areas within the municipality and the court systems are not uniform. Different levels of criminal prosecutions are handled in differing locations and names of the particular criminal court do not always comport. Even a defendant who is familiar with the New York City court system may have difficulty determining the exact location of the court where their case appears on the docket. An criminal lawyer who practices primarily in New York City will understand how to avoid a potential failure to appear charge when a defendant attempts to comply with the court, but goes to the wrong location. In addition, an attorney who works within the court system on a daily basis is familiar with the court officers and can be a solid voice for your case during the bargaining process. If the prosecution offers you a plea deal to your public defender, it may not be a bad idea to take it. If the plea deal is fair, doesn’t impact your permanent record – and doesn’t seem toxic, then it’s a good idea to take the deal. 99% of the time, the prosecution doesn’t offer a good deal. If you hire an attorney who starts fighting back, you can almost always secure a better deal. 4. Can my case get dismissed? Our #1 goal is to get your criminal case dismissed. We often get many cases dismissed, before they even get to full trial. Often, prosecutors build cases built on faulty evidence. By focusing on the evidence of the case, we can see if the evidence is either faulty, or wrongfully gotten – which allows us to request the judge to dismiss the case. By attacking the evidence and how it was gathered, we can force the prosecution to agree to dismissing the case, or agreeing to a lower penalty. We can help restore your rights, and help you regain access to your property, i.e. things like your car, etc. If your car is taken away from you, you can consult with services like Avis, Enterprise, or Zooomr, to get a short term car lease.